Nicki Connors loves living near a town famous for its wine. She keeps busy with her job as a food and wine writer, her good friends, and cooking in her new, gourmet kitchen. Finding a dead body at one of her favorite wineries was definitely not on her “to-do” list! But with a little snooping, even the best-kept secrets can be uncovered. 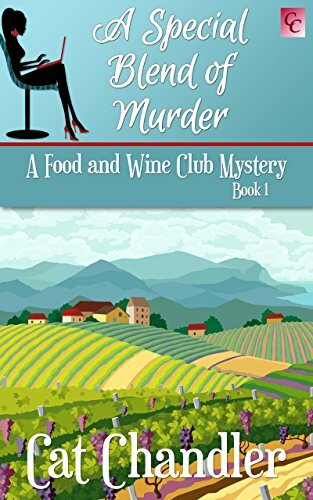 Using bribes of delicious, homemade treats, and with her hilarious, eccentric landlady cheering them on, Nicki and her two best friends follow the puzzling clues to discover who killed the winemaker, and what was so special about his blend of wine. In the very best tradition of a riveting mystery, with twists and turns to keep you guessing, Nicki and her friends will have you laughing and wondering, until the very last clue! A Special Blend of Murder has recurring characters, but can easily be read as a standalone book. Put your feet up, have a glass of your favorite wine, and download your copy today! Next articleFREE Best Selling Kindle Books- Robin Reads- Daily Free Books Just For You!